Colorado autumn colors appear most of the time in various fine art photos around the world. Photos with crisp details and contrasting textures are always a favorite. 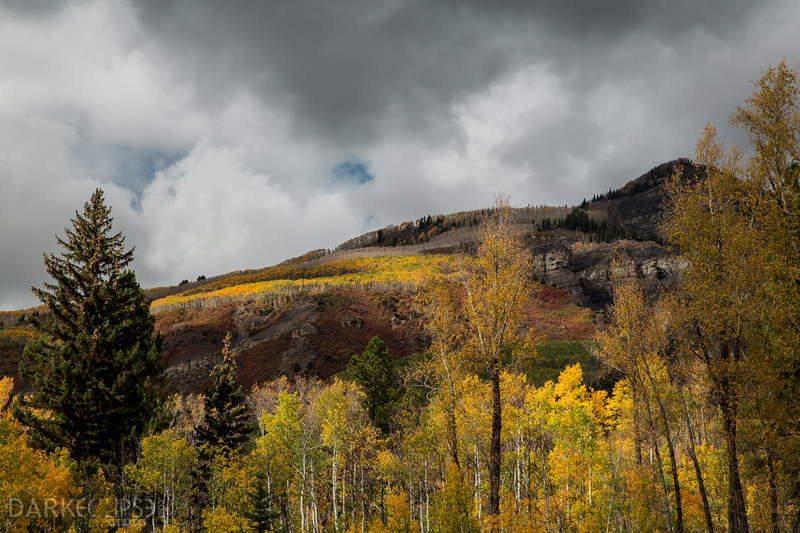 Most of the time, the images captured during an outdoor shoot right off the Colorado hills during autumn will reveal the beauty of soft clouds against a majestic mountain and the aspen trees turn gold and yellow as the season starts to change. This image was captured right off the Marble Mill Site Park. The worldwide fame of the fall colors in Colorado is brought about by the wide array of Aspen trees. These trees line like yellow and gold towers that can be a perfect subject for a fine art photo. A glance at this fine art photo can bring a lot of peace and tranquility. This Colorado falls color speaks a lot about the beauty of Mother Nature. Looking back, Marble Mill Site Park was built around 1896 and 1905. It was the source of the marbles used in construction of the Tomb of the Unknown Soldier and the Lincoln Memorial. This fine art print will definitely look gorgeous on any room. It will fit a living room or a bedroom. An office space will surely have a homey and cozy look. There are a lot of ways to include this fine art photo into an interior design of a home or an office.